You may remember this bad boy from what I ate #7. I thought I'd share the recipe. In a saucepan heat the sesame oil and then add the garlic and ginger. Saute very briefly. Add the wine and lime juice and wait for the whole concoction to almost reduce (this take a little while.) 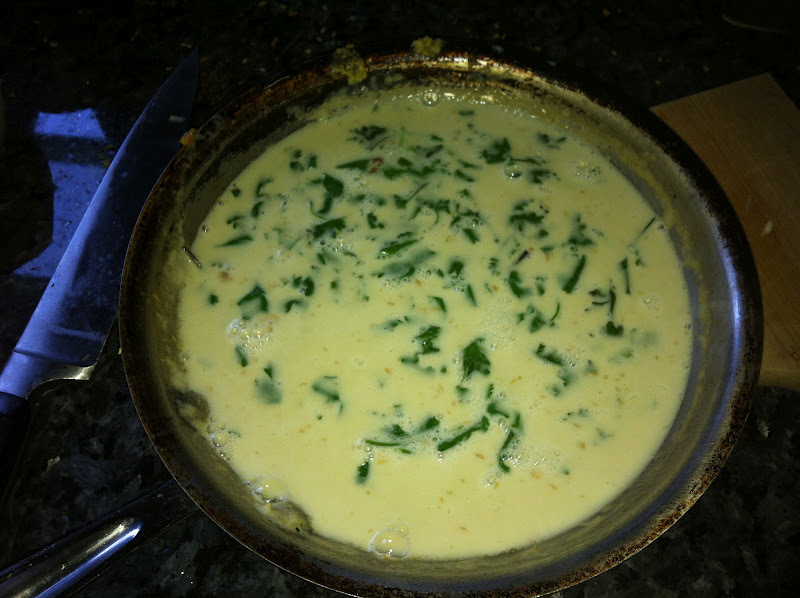 Once reduced add the coconut milk, curry paste and cilantro. Let it reduce again (about ten minutes). Now is a good time to grill the fish! 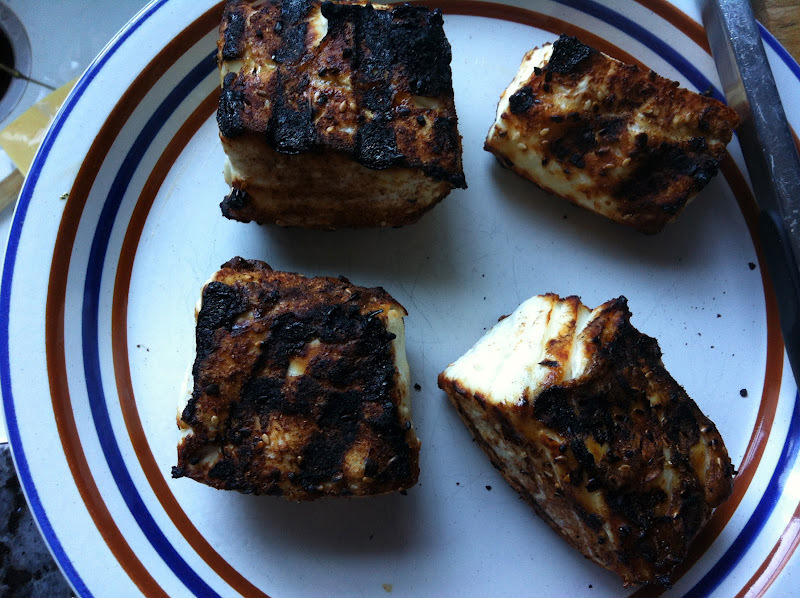 If you don't have a grill or don't feel like using it, you can broil the fish for three or four minutes on each side. Once the sauce has reduced and cooled a bit, blend it well. Place the fish in a bowl and pour the now soupy sauce around the fish (it's not as pretty if you cover the fish in sauce). Top with shredded cilantro, carrots and pepper to taste! 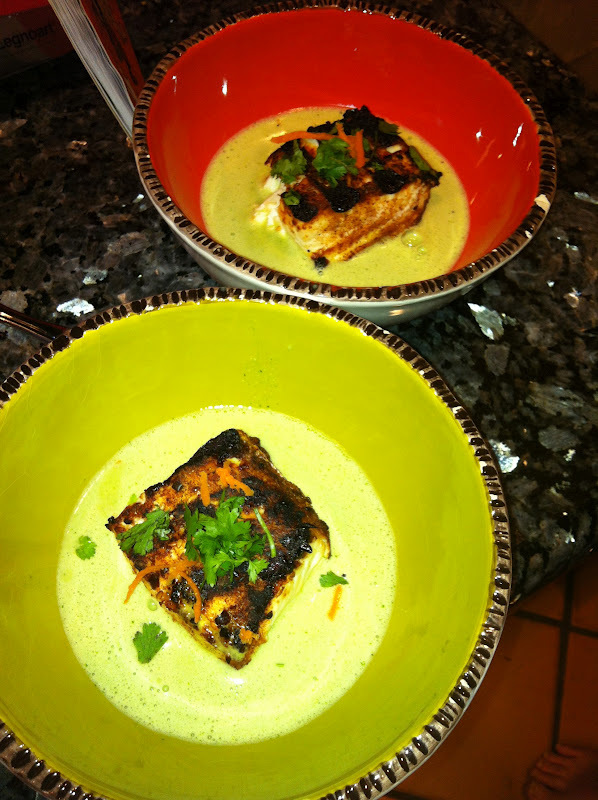 It's delicious with a side of brown rice for sopping up the green curry sauce.